This entry was posted	on Tuesday, February 8th, 2011 at 1:07 am	and is filed under Podcast Episodes. You can follow any responses to this entry through the RSS 2.0 feed. You can skip to the end and leave a response. Pinging is currently not allowed. The other day I was flying around Azeroth and found myself in Deadwind Pass on my way to the Blasted Lands. I decided to fly south to vist the long-lost dungeon of Karazhan. I was only level 60 and just recently received my flying wings. I knew better to land to say hello to the locals so I thought it would be nice to see what the top of Karazhan castle looked like. I already knew of some of the hidden places in Kara from your past episodes but while I was flying near the top of the castle I found an outcropping with two gryphons nested there. I stopped but then noticed a gate on the left side that has an instance behind it. All attempts to get inside the gate failed not knowing for sure if it was due to my level or not being attuned. Do you know of what this instance might be or is it just another hidden entrance for the games designers? Greetings! 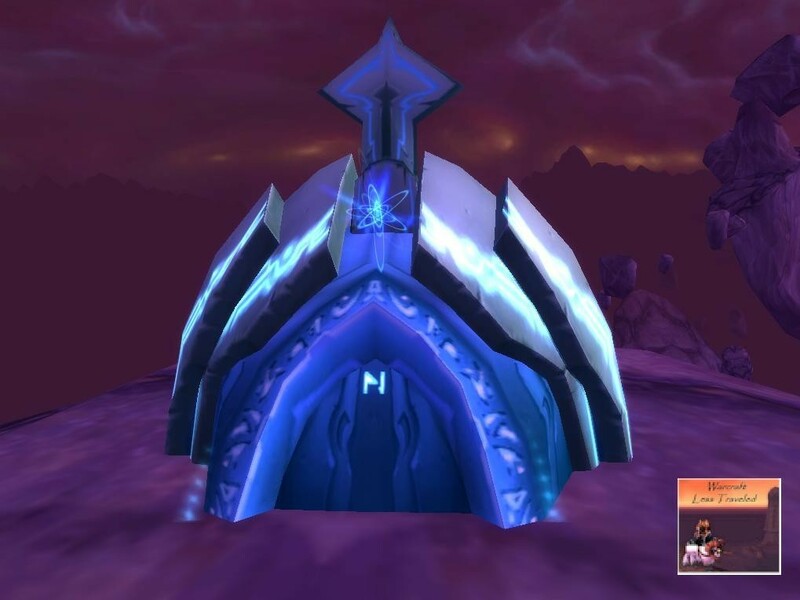 Most likely, this gryphon roost and instance portal (at the top of Kara) are left over from part of the design phase (that was never implemented). We can assume that this would be an alternate entrance for raid groups that already cleared a certain amount of Kara. Before flying mounts, the raid group could fly directly to this flight hub and enter back into the raid – shortcutting a large portion of what has already been cleared. Thanks for the message & I look forward to hearing more about your travels!